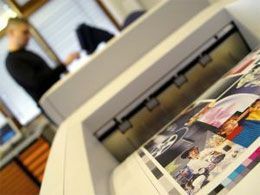 Printing Areas of Your Choice :: Movable Type Extra Facilities :: PRO IT Service S.R.L. - Choose a professional and accessible service for your online image! We have a solution for all these issues. Let us help you customize your page print-out versions. You will be able to exclude certain areas (header, left and right side columns, footer etc.) or even certain text paragraphs or other components. Provides a credit line and copyright statement, disclaimer etc. Are you curious to see what your Web site pages print-out looks like? Test out your Web site print-out for free! Click "Print" and there we go. Alternatively, you may fill out the from below to have us freely check your Web site print-out and send you back a sample. You are going to receive the sample and appropriate quote just in case you would decide to have us customize the print out layout for you within 24 to 48 hours.